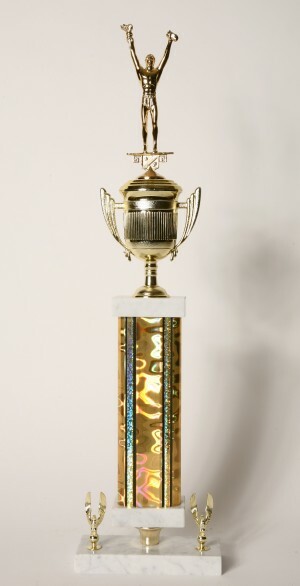 This team victory award is perfect for many different sports, tournaments, and corporate events. While the square gold colored column looks great with the victory figure, the color column can be changed from gold to match school, corporate, or event colors. Not what you are looking for? View more options on our scholastic trophies page.